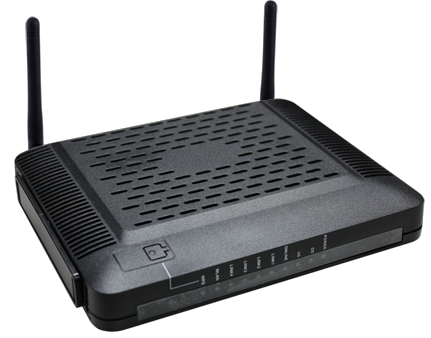 The CBW383G4 is the integration of 4 ports switch and IEEE 802.11n wireless functionality, the CBW383G4 series could also be used as a Wireless Cable Modem Residential Gateway in your home or small office. The ability to route data information into your broadband network could help you easily extend your local network via wire or wireless. l DOCSIS /EURODOCSIS 2.0 / 3.0 standard compliant. l IBM Compatible, Macintosh or other workstation supports TCP/IP protocol. l An Ethernet port supports GbE Ethernet connection. l Subscribed to a Cable Television company for Cable Modem services.